What is uterine fibroid embolization and how is it performed? Uterine fibroid embolization (UFE), also known as uterine artery embolization, is a minimally invasive treatment for uterine fibroids. A doctor uses a small flexible tube (catheter) to inject tiny particles into the uterine arteries, which supply blood to your fibroids. The goal is to block tiny vessels that lead to your fibroids, starve the fibroids and cause them to die. Without their blood supply, the fibroids shrink and painful symptoms are alleviated. Ideal candidates for this procedure include women with symptomatic fibroids who wish to avoid surgical intervention and are looking for an alternative treatment of their fibroids. These symptoms included heavy bleeding, pain with menstruation, constipation and bloating. 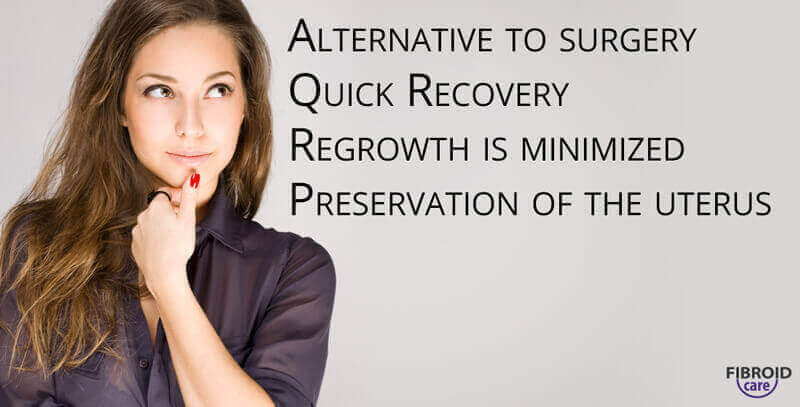 UFE patients also enjoy a high chance of preserving fertility. The hospital stay is usually only 24hrs and the patient will usually recover from the procedure within a few days. Interventional radiologists usually perform uterine embolization. Interventional Radiology, is a sub-specialty of radiology that uses minimally invasive image-guided procedures to diagnose and treat diseases in nearly every organ system in the body. Interventional radiologists diagnose and treat patients using the least invasive techniques currently available in order to minimize risk to the patient and improve health outcomes. Uterine fibroid embolization is performed with a small catheter (2 mm in diameter) inserted into the femoral artery at the level of the groin under local anesthesia. Under imaging guidance, the interventional radiologist will enter selectively into both uterine arteries and inject small (sub-mm) particles that will block the blood supply to the fibroids. The UAE procedure results in limited blood supply to the fibroids, which prevents further growth and heavy bleeding. For more information on how is uterine fibroid embolization performed, request a consultation here. What are the Risk Factors for Uterine Embolization? Uterine embolization is a procedure that has been practiced for well over two decades, and studies have shown that a high percentage of women find long-term relief of fibroid symptoms after UFE. Still, not all women are good candidates for this procedure, and there are certain risk factors for uterine embolization. A comprehensive understanding of the treatment options, risks and expected outcomes is essential in making a decision about the management of your condition. Uterine artery embolization is a well-practiced procedure among interventional radiologists associated with few complications. 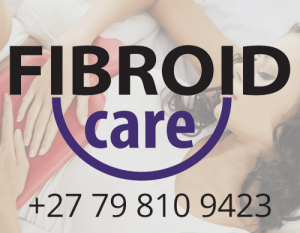 Consultation with Fibroid Care does not require a physician referral. Infection. A degenerating fibroid can provide a site for bacterial growth and lead to infection of the uterus (endomyometritis). Many uterine infections can be treated with antibiotics, but in extreme cases, infection may require a hysterectomy. Damage to other organs. Unintended embolization of another organ or tissue could lead to serious illness. Even when embolization is performed correctly, damage to the ovaries can occur. This could result in your periods stopping — this is rare if you’re aged 40 or younger and more common if you’re aged 50 or older at the time of the procedure. Women can and do have healthy pregnancies following uterine artery embolization. Incomplete embolization. Occasionally uterine artery embolization needs to be repeated on the same fibroids to block small vessels that may have grown in the period after the first procedure. Follow-up procedures such as this are now a rare occurrence as the technology and procedural techniques have advanced to make the primary procedure curative. Discuss uterine artery embolization with your gynecologist, primary care doctor or an interventional radiologist. Contact us for more information via email, Facebook or complete the contact form on the right. Thank you – from dealing with what felt like the worst thing that had ever happened to me, I’m now back to myself and have my life back! Thank you for such reassuring, friendly and professional care. I’m so relieved! . Need help, visit our clinic and get the treatment you deserve!